Thanks Ellen, this is a great question. The first thing I would recommend is to fill the space between your knees and the ground to project your knee joints and your SI (sacroiliac) joints. You can do that with a couple of cushions or yoga blocks. To make is easier to sit, means improving the range of motion in your hip joints, especially the external rotators in your hips. Today I will show you a few yoga moves to help you with that. If you would like more support in releasing your hips to make it easier to sit, I would highly recommend the connective tissue classes in our membership community as well as the therapeutic yoga classes for your hips in our membership community. 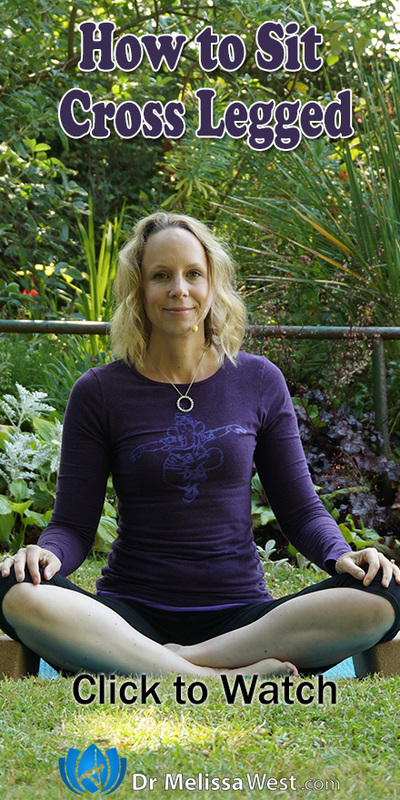 Today’s question to leave in the comments is, how to you modify your seated meditation pose when you are uncomfortable?